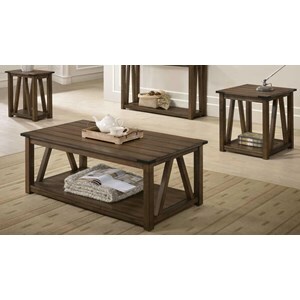 Add convenient and stylish storage in your living room with this accent table group. 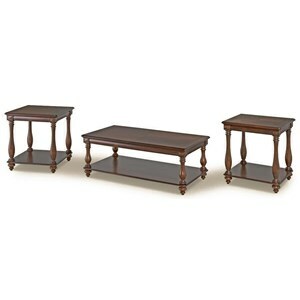 The group consists of a cocktail table and two end tables. 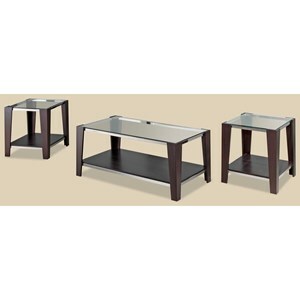 Each table features a drawer with pewter pull for storage and a base shelf perfect for magazines or board games. 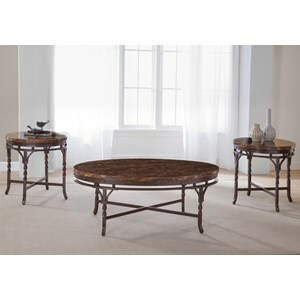 The tables feature slightly curved saber style legs for a sleek transitional feel. 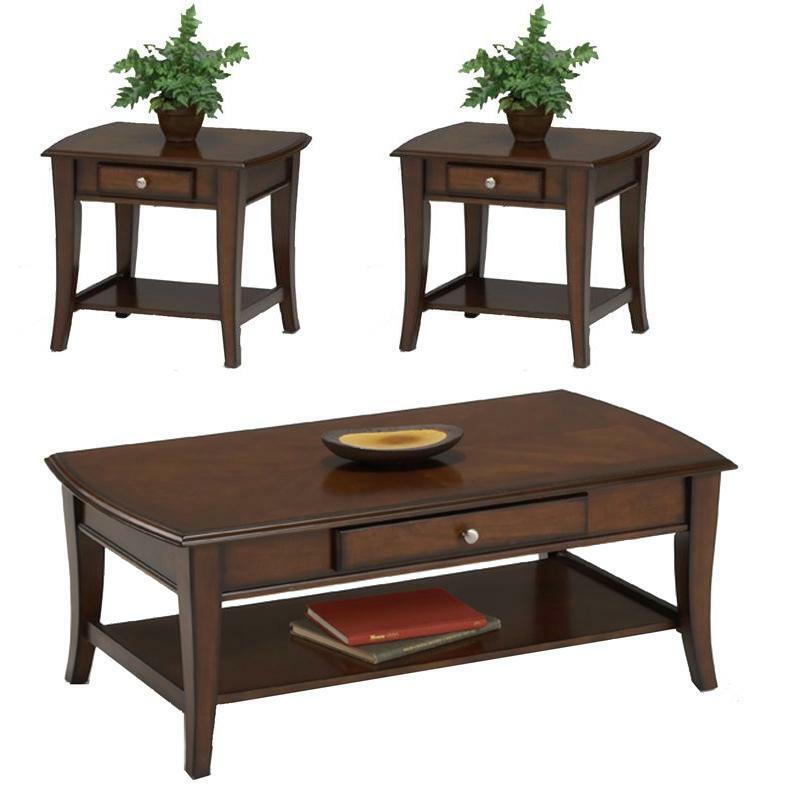 The Broadway 3 Pc. 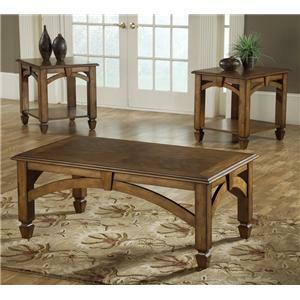 Cocktail Table & 2 End Table Group by Bernards at Wayside Furniture in the Akron, Cleveland, Canton, Medina, Youngstown, Ohio area. Product availability may vary. Contact us for the most current availability on this product. The Broadway group offers sleek modern design with convenient storage in your living room. 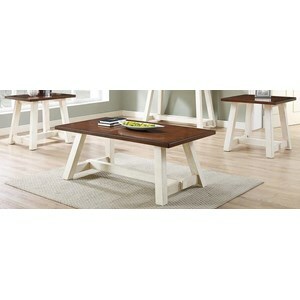 The group consists of cocktail table and two end tables three pack as well as a sofa table sold separately. All tables have one drawer with pewter knobs and a base shelf for additional storage and display. 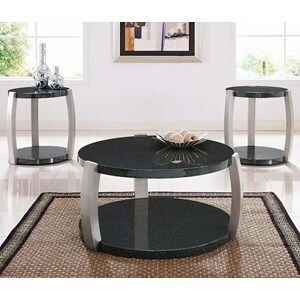 The group features slightly curved saber style legs for a sleek contemporary look. 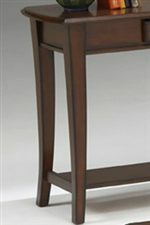 The Broadway collection is a great option if you are looking for Transitional furniture in the Akron, Cleveland, Canton, Medina, Youngstown, Ohio area.